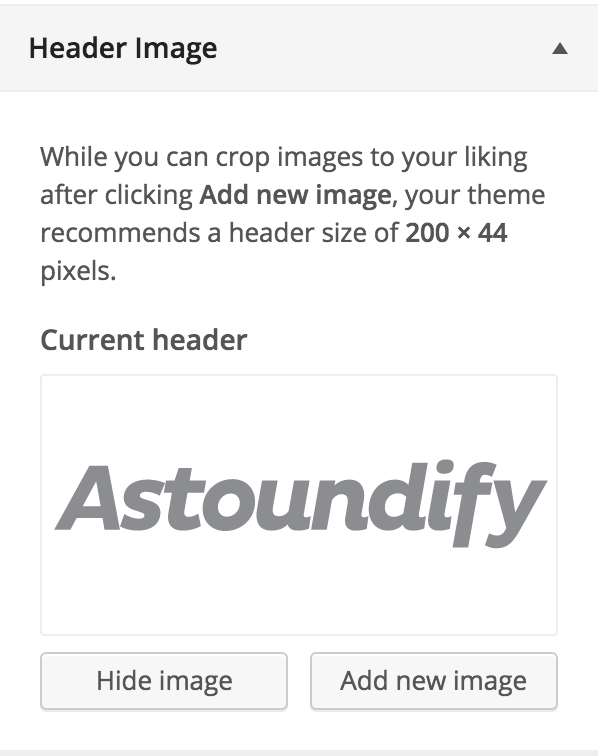 To display a logo in your header instead of your site title, navigate to Appearance > Customize > Header Image and find the Header Image option in the customizer to upload your logo, which should be the recommended size of 200 x 44 pixels. Click on Add New Image and either select your header image from your Media Library or upload the image to the Media Library and click Select and Crop. Crop the image to your liking or skip cropping if you have already prepared your image before uploading (recommended). Don’t forget to click Save and Publish!